please leave a message or send us an email. 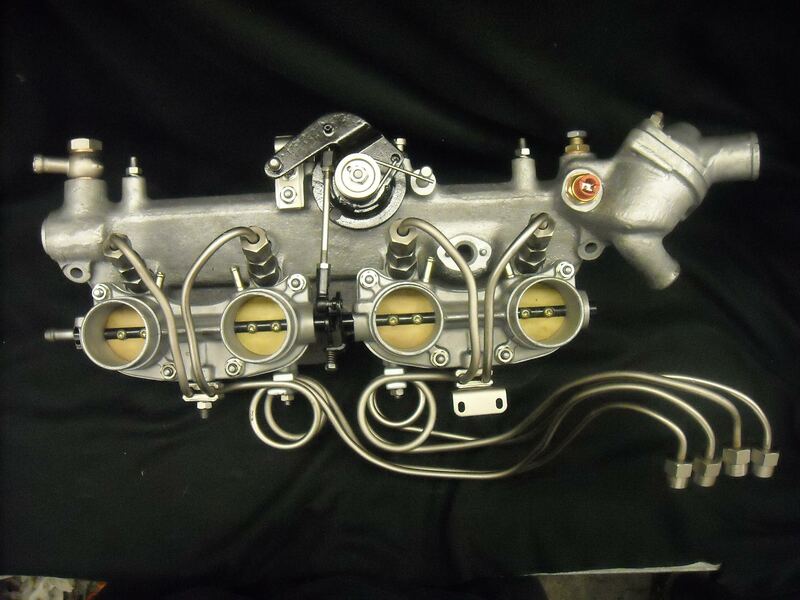 All components are stripped from manifold then disassembled. Manifold and T.Bodies bead blasted then Ultrasonic cleaned. Castings sprayed with a high temp clear coating to preserve original appearance. Throttle bodies bored for improved air flow. Throttle plates re-installed, set and vacuum tested for correct alignment. New T.plate screws installed and peened. Bearings replaced as needed with new seals. All components re-assembled and installed with new gaskets. Long and short rods fitted with new Original (nylon type) black rod ends, lengths then pre-set to correct length. Relay crank painted OEM black, shaft lubed, installed and stop screws set with factory gauges. Idle air mixer fitted with correct o'ring and new hoses. Injectors installed and torqued. Fuel pipes,clamps,brackets and fasteners installed for ease of installation. Thermostat heat tested and replaced if needed. 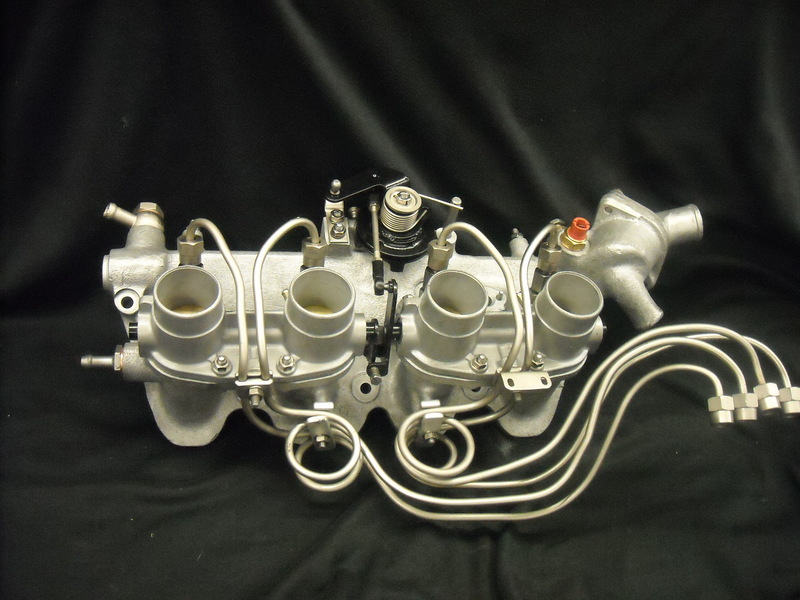 Send the complete intake manifold with the injection pump and injectors. Include the Throttle bodies, relay crank, long and short rods, fuel pipes, clamps and brackets, coolant banjo fitting, power brake check valve, thermostat housing with thermostat. Saves time and frustration: see pricing here.